2017 has been a fantastic year of growth for my blog. I've really enjoyed learning about SEO and the algorithms of social media. I started my blog as a quilt journal to record my quilty finishes, but it has become so much more than that! I love the online quilting community and have made many real-life friends through blogging and social media. I hope to meet many more quilters in 2018! I made this mini quilt for one of the Project Quilting challenges in March. Almost immediately, people started sharing it on Facebook. It was the first time one of my quilts went "semi-viral!" This year, I was one of a dozen hosts for the "I Wish You a Merry QAL." I had never even participated in a QAL before! As expected, I learned a lot! I posted on my blog once for each block, plus an intro post and a finale post. 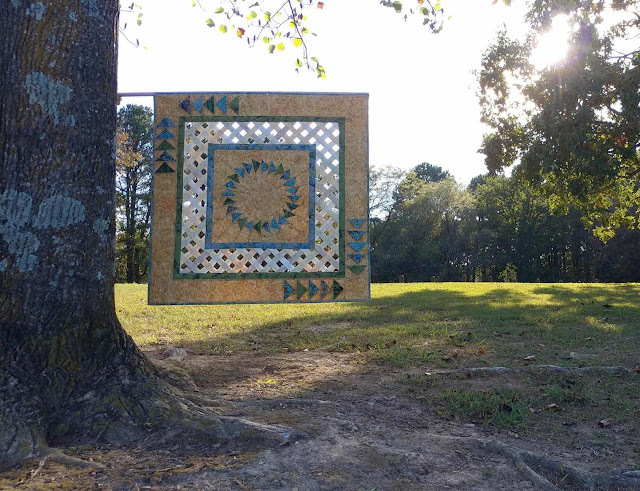 I usually only blog my quilt finishes, so posting each block separately was new! Ever since learning about the Wefty Needle, I've wanted to try "open weaving." My first attempt was more failure than success, but that just meant I needed to try again! The lattice quilt was much more successful, as was my third attempt. I definitely want to make some more open weaving quilts in 2018! Thanks to Pinterest, this post has gotten a lot of attention! I love teaching and sharing with others what has worked for me, so I hope to make more tutorial posts in 2018! 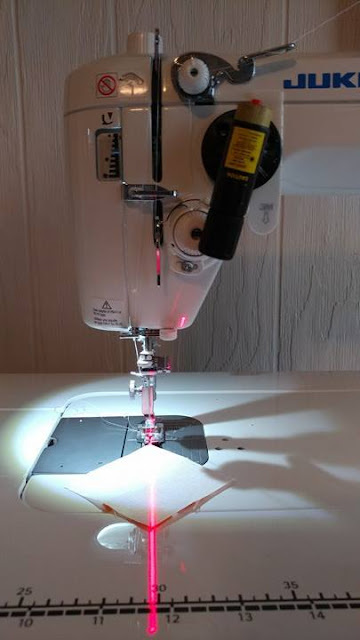 The clear winner for my most popular blog post of the year is how to add a laser to any sewing machine! I see my post pop up on Pinterest all the time! The page views for this post are greater than the sum of all my other page views for the whole year! 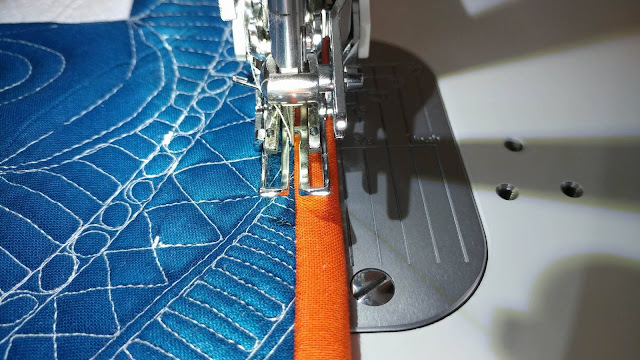 2018 will have lots of quilty finishes and hopefully a few tutorials too (read about some of my 2018 goals here). What types of quilts do you like to read about? Any tutorials you can't seem to find? I'm already excited for what the year will hold! Linking up to the Best of 2017 linky party at Meadow Mist Designs. You had a great 2017, I enjoyed revisiting these posts. Thanks for linking up and I hope you have a wonderful new year! 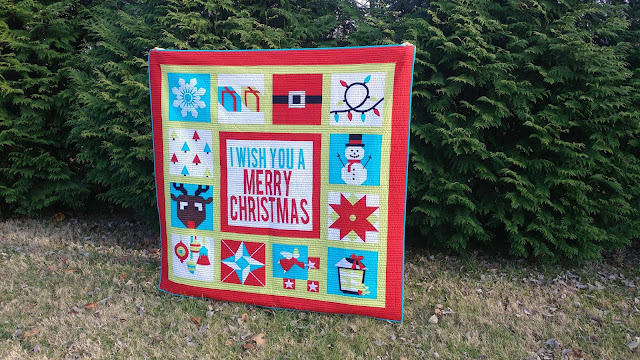 Laura, you are one amazing quilter! You had a PIle of successes this year! (can't resist those PI puns) I am looking forward to seeing what you come up with in 2018! How cool is it to see traffic driven in from Pinterest (or other locations)? It has a been a great year of growth for you and I look forward to seeing what you create in 2018! What a year you had! I love all the posts you are featuring - still thinking about that laser for my machines! I even look every once in awhile for one, so I know it will happen one day. I LOVE LOVE 💕 the open weave quilts you are doing. They are spectacular and I look forward to seeing your new ones. Best of luck in 2018 (although Branch Rickey (a baseball comssior) once said...Luck is the residue of design and I think it is very true...so design away! Hi Laura, I've so enjoyed meeting you in the blog hop and getting to know you, reading your blog, and enjoying all the creativity you muster up! Seriously, I don't know where you get your ideas, but I'm in awe of how your head works! That open weave is absolutely amazing. Hope you have a great 2018! Congratulations on a wonderful year. 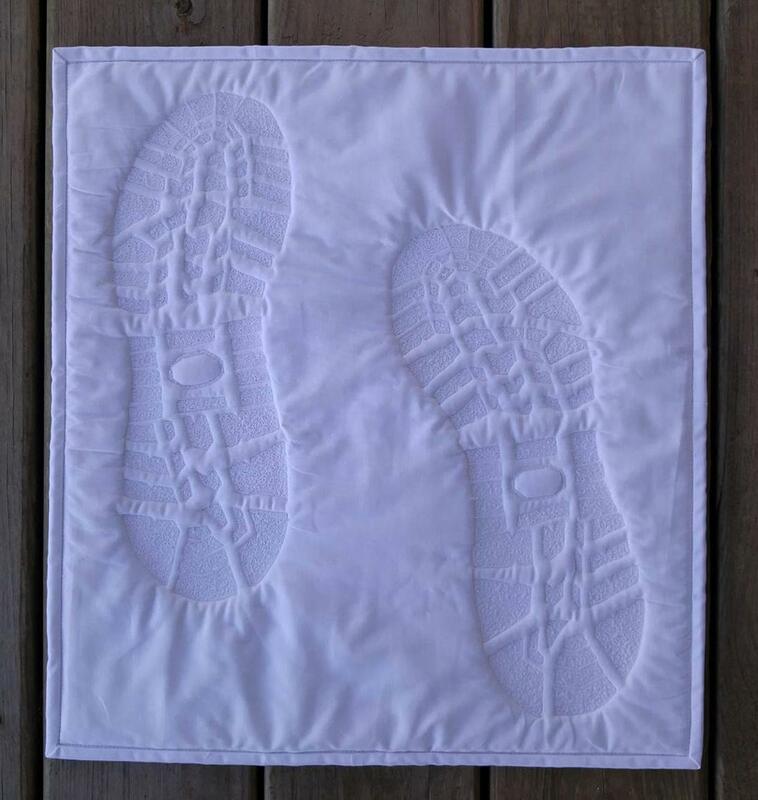 You have included a great variety of posts here and well deserve your blogging and quilting success. Wishing you a wonderful 2018.